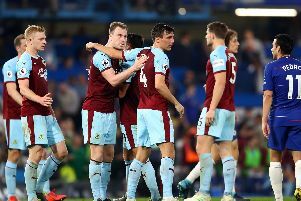 Bournemouth boss Eddie Howe has been impressed by how his former club Burnley have progressed under the guidance of Sean Dyche. "They have improved on the strong Championship side they had from last season, which is not easy to do," Howe said. "They have the die-hard spirit that we have seen and we found that out in the away game this season, so it will be tough test for us again on Saturday. "They got back up and they have been able to show their abilities this season as we have seen, so you have to be very impressed by that."